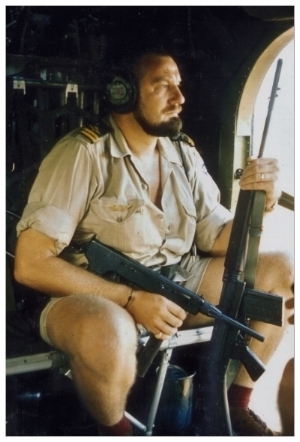 "No problems, we fly again"
Captain Stig von Bayer served in January-June 1964, as Deputy Commander for the missionary rescue operations (JADEX 1), in the Kwilu province and as a commander for the last combat missions STRAWBERRY and STAYPUT within the ONUC Operation in the Congo, 1960-1964. The first rescue mission went without problems, but the second, three days later, ended in a deadly confrontation between the UN soldiers and the Mulele warriors. Stig von Bayer describes the events below. In the player below, you can listen to Stig von Bayer telling about the rescue mission in the documentary “The Kongo Veterans” from 2014.